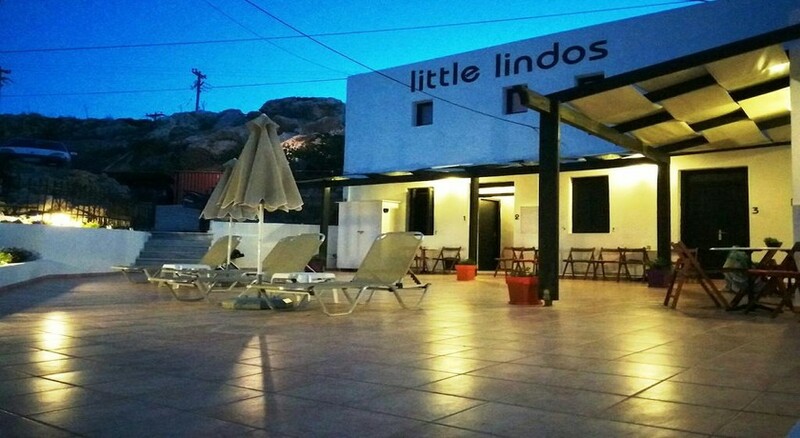 Perched on a hillside, Little Lindos Sea View Studios is a cosy establishment offering only five well maintained studios. The hotel complex features a sun terrace, perfect for relaxing with a good book or simply to sunbathe under the warm and balmy sun. The studios are fully furnished and come with a fully equipped kitchenette. The studios open up to a common terrace. The hotel complex was recently refurbished in 2013 and features contemporary décor. The property is only a kilometre from downtown Lindos. There is a clutch of restaurants, bars, pubs and shops in the vicinity of the hotel. 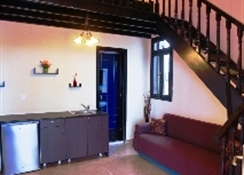 The Little Lindos Sea View Studios are a great place to enjoy your holidays in Greece. 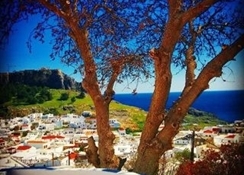 Little Lindos Sea View Studios are located at the centre of the village Lindos where guests can find many shops and taverns. Rhodes International Airport is about 53km from the hotel, while the Old Town of Rhodes is about 50km. The Lindos Beach is only one kilometre from the property; guests can reach the beach in ten minutes. Other beach – Saint Paul’s Beach located near St. Paul’s Bay is only 800m from the hotel, which can be reached in less than 10 minutes from the hotel. 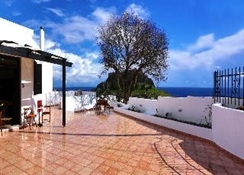 Little Lindos Sea View Studios are a great base for you to visit the entire island of Lindos. The five studios at the Little Lindos Sea View Studios offer amazing views of the Mediterranean Sea, St. Paul’s Bay and the Beach of Lindos. The studios are fitted with dark wooden furnishings and tiled floors. They also come with a fully equipped and functional kitchenette with stovetops, refrigerators, crockery and kettle. Amenities in the studios include a flat screen 22inch LCD television with satellite, Wi-Fi, king size bed or twin beds, safe, coffee & tea making facilities, en suite bathrooms, and balconies with outdoor furniture. Guests at the Little Lindos Sea View Studios have their own kitchenette to prepare their meals. 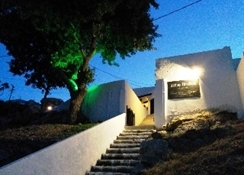 Within the vicinity of the hotel, there are several restaurants, bars, pubs and other eateries that serve traditional local cuisine as well as continental and international cuisine. There’s a supermarket only a few hundred metres from the hotel from where guests can get ingredients for their meals.